In a 12-year international rugby career, spanning 85 caps and including that golden Rugby World Cup triumph in 2003, Lawrence Dallaglio has witnessed triumph and failure aplenty - and not just on the field of play. He is no stranger to sponsorship and marketing, having appeared in campaigns for brands as diverse as Nike, Lloyds TSB, Chewits and PizzaExpress. 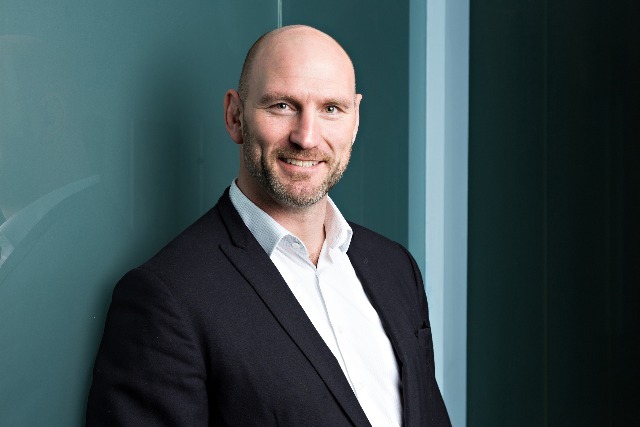 And as founding partner of new agency BBH Sport, Dallaglio plans on tackling the strategic thinking at the heart of such sponsorship programmes. With BBH London chief executive Ben Fennell, a long-time friend of Dallaglio’s, as chairman, and creative director Ewan Paterson and commercial strategist Kevin Brown joining the senior team, the former England rugby captain is hoping to attract brands with a mix of creative and sports expertise. "Ben and I have talked over the last 20 years about the worlds of creativity and sport coming together" says Dallaglio. "BBH is one of the most innovative and creative businesses in the industry. We want to expand the agency’s offering and bring BBH’s strategic brand credentials to the world of sport." The agency plans to work across the breadth of sports marketing, from brands already active in sport to those looking for an entry point, from working with sports associations and events to brokering new deals for sports talent. The biggest opportunity, claims Dallaglio, is bringing more strategy and creativity to clients' sponsorship choices: "Sponsorship deals are often done for quite opportunistic or personal reasons. When those people move on, the business is often left with a sponsorship asset that doesn’t particularly bridge to the rest of the brand or business agenda. We can help create those bridging ideas." If you are investing your time, energy, and money into an asset, you need to keep coming up with fresh ideas to engage with customers and fans. "Sponsorship is about maximising ROI," he adds. "If you are investing your time, energy, and money into an asset, you need to keep coming up with fresh ideas to engage with customers and fans." BBH Sport is also looking to win business from outside its Kingly Street offices. It has produced a Premier League-themed social media campaign for Adidas called ‘Unlock the Game’. Working with Hill & Knowlton, the agency created a campaign that existed in real time and pulled in Adidas players who were battling it out for their teams in the Premier League. When the big moments happened, Adidas was there with a point of view, sparking debate and discussion online. "I’ve worked in sport for many years, both as a professional rugby player but also as a brand ambassador, so hopefully I’ve got an insight into how brands activate," says Dallaglio. "I’ve sat in many meetings listening to how brands want to use their talent, and how they get the best of out them, not to mention who actually comes up with the ideas - whether it be the agency, the brand, or the talent themselves." "People assume it must have been a big change for me to move from a sporting background to a creative company like BBH, but it’s actually a very similar environment. Both share a common goal of achieving world class excellence, and brilliant teamwork plays a huge part in getting there. I’ve been surrounded by creative people all my life – in rugby we call them the backs! So I hope I know a little bit about getting the best out of them!" "There are a lot of good sports marketing companies out there and lots of good work being done for brands, but we genuinely believe, having listened to lots of clients, there is an opportunity to do things a bit differently," he says. "Besides," he grins, "I like competition, and surely there should be some competition off the field as well as on it?"